Oxford is the city of ‘dreaming spires’ with a world wide reputation for learning. 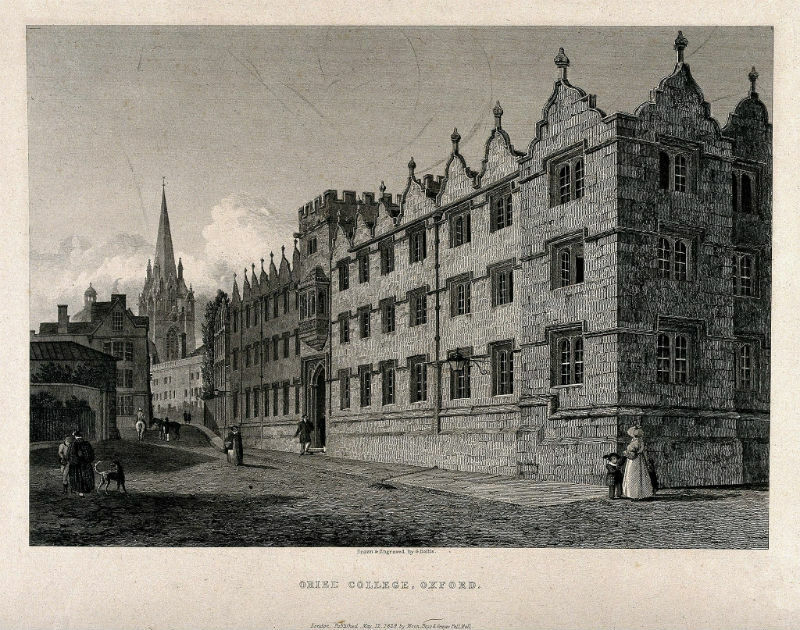 It’s a collection of about 40 colleges, the oldest being University college founded in the 13th century. This has grown over time and now includes a few colleges founded in the past few years. 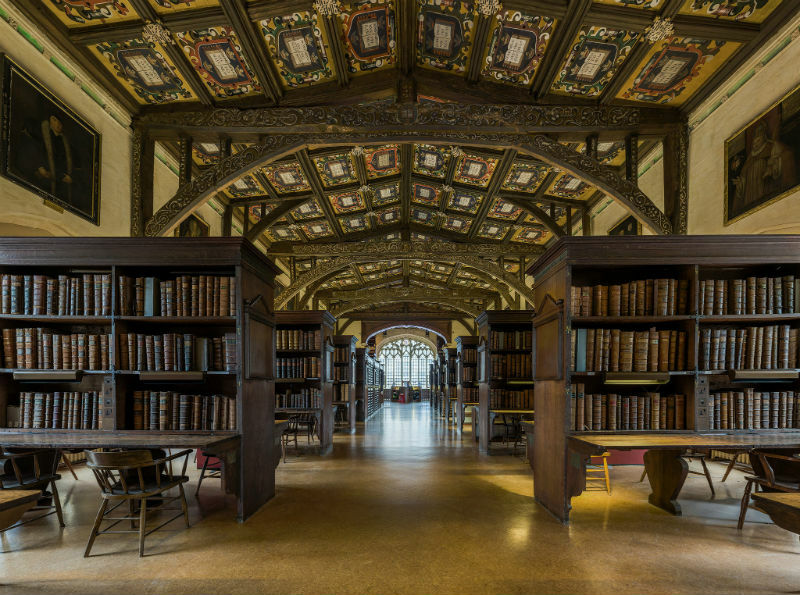 A visitor would need several days to visit all of them, plus other university buildings such as the Bodleian library – and probably wouldn’t want to visit some of the more modern ones anyway. And so here is our guide to the 10 colleges and sites you should visit either as a brisk walk (if on a day trip) or a more leisurely explore on a longer visit. If there’s one college that screams ‘Oxford’ it’s Christ Church. Built by Cardinal Wolsey, a key advisor to Henry VIII, it has featured on several movies and TV shows, notably Brideshead Revisited and the recent Harry Potter: the Dining Hall scenes were filmed in the college’s ancient Hall. 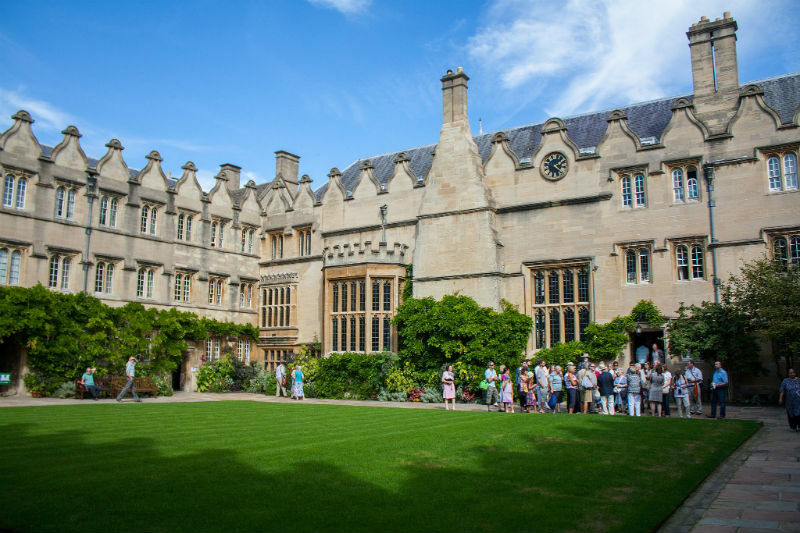 It’s also one of the more tourist friendly colleges: be sure to have a leisurely stroll round Tom Quad, following in the footsteps of WH Auden, William Gladstone and Lewis Carroll who all studied here. Pronounced ‘Mor-da-lin’ this is one of the prettiest of the colleges. It even has its own deer park. 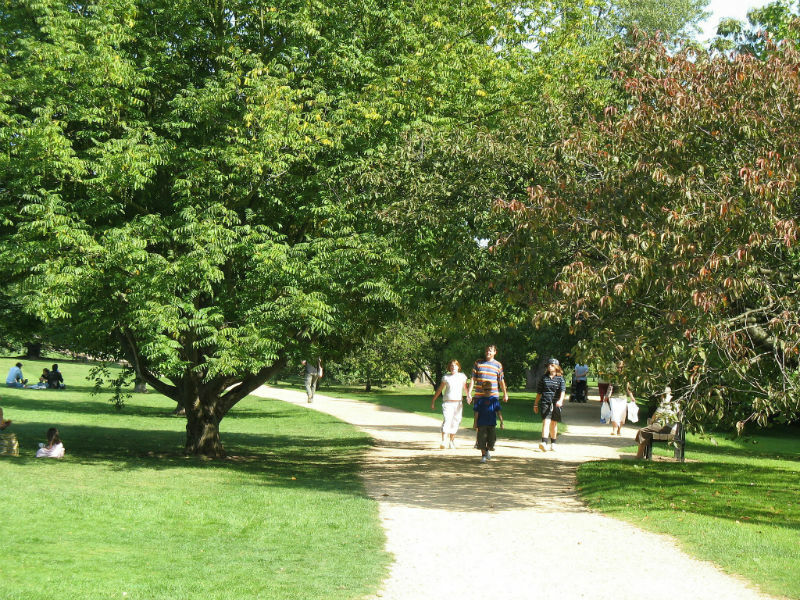 Be sure to take a stroll along Addison’s walk past the park, as Oscar Wilde, CS Lewis and the present British Prime Minister, David Cameron, would have done. The ‘Bod’, as it is known, contains, by law, every book ever published in England. 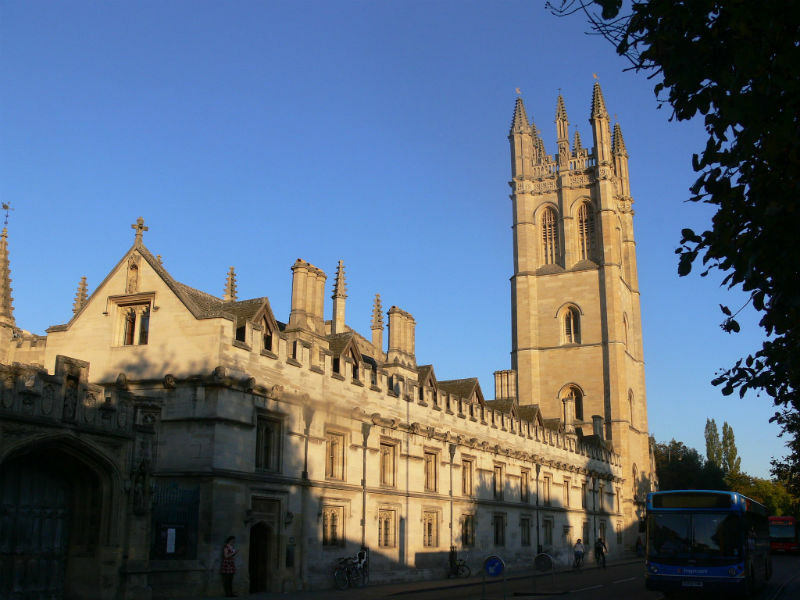 It’s also a gorgeous place for present day students to work – all oxford students are members by right. OK, this is a bit of bias from the author, but this is a great example of one of the ‘small but old’ colleges such as University College and the Turl Street colleges. I’ve grouped these together as they are small, very close and can be visited quite easily together. Turl Street runs between the High Street and Broad Street – the two main thoroughfares – and so is easy to visit. This isn’t anything to do with the University, but is a lovely nevertheless. The covered market off the High Street contains every time of butcher, baker and (probably) candlestick maker, many of them 100 year old family firms. 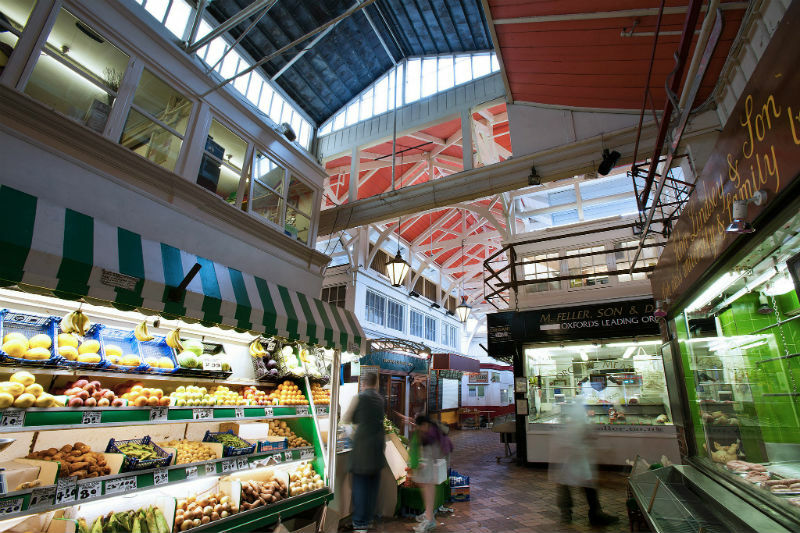 A must for foodies – be sure to pick up some sausages from one of the butchers – and those wanting to pick up some locally made crafts. Trinity’s famous for its extensive, and beautiful, gardens. You could spend the afternoon there and not realise you’re in the middle of a large city. Be sure to check when they are open to the public and bring a picnic. 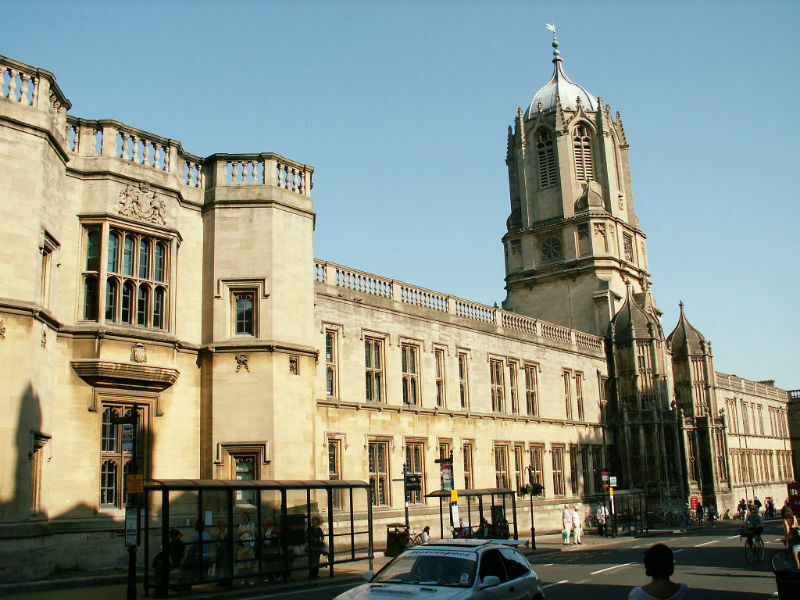 The defacto center of town is a gorgeous square bounded by the Bodleian library, Brasenose College, All Souls (a graduate college) and St Mary’s Church. In the middle is the Radcliffe Camera, a pepperpot shaped building used as another library. If you feel like getting out of the hubbub of the center of town – or are all colleged out – then a short walk to the University Parks may be in order. Beautiful – especially in summer – you can laze around doing very little, or take in a game a cricket at the ground in the park. This isn’t a site as such but no trip to oxford would be complete without a ‘punt’ on the river. Using a long pole to drive the punt along the river takes a bit of getting used to, but it’s an elegant way to travel along the Cherwell, a tributary of the Thames (or Isis as it’s known in Oxford). 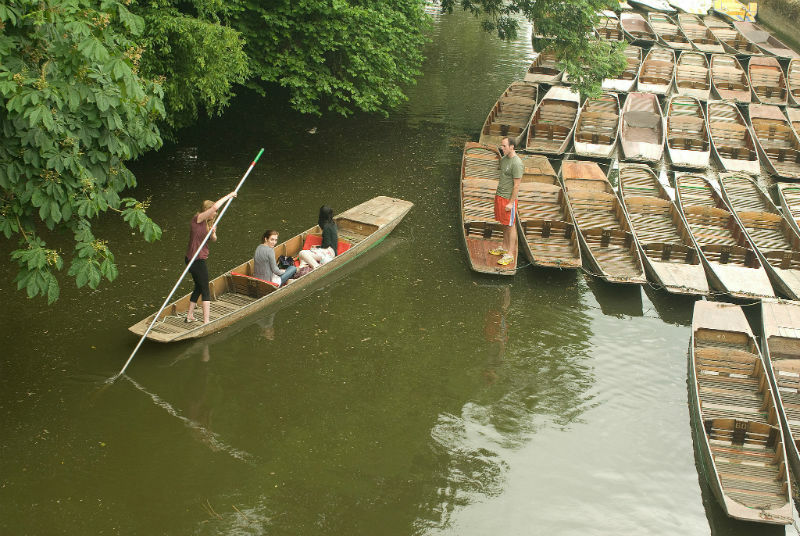 Punts can be hired from Magdalen Bridge.